With the amount of trendy weddings that we’ve seen these days, it almost feels that your bridal brand is competing with everyone else’s. But with all the different fonts, colors, and monograms, where do you begin? Read on to find all the answers on how to create your personal wedding brand, that is sure to leave your guests impressed! All in all, your brand should work around your wedding color palette. In other words, the color scheme you choose should act as the foundation for the details of the event. Therefore, it is essential that before you start making decisions on branding, you have a solid understanding of what your palette is. All in all, if you have a good grip on the exact hues and tones you are using, it will ultimately make it easier to incorporate them within your branding, as well as give you ideas for the brand itself! 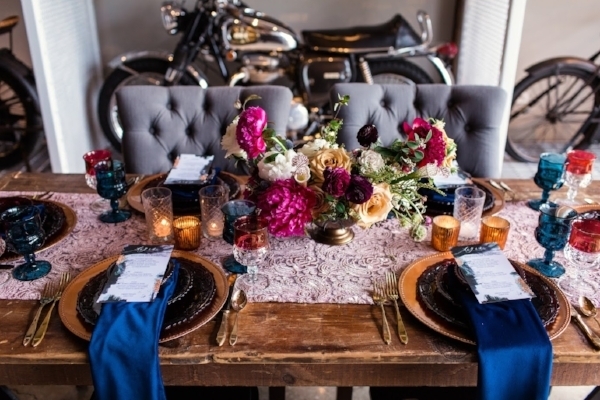 Bonus Tip: Don’t forget to pay attention to the colors and tone of your venue – does it have a more vintage feel? Maybe choose a font that reflects that ‘old-timey’ theme! Similar to my first tip, it is important to know exactly what you want the tone of your wedding to be, because the brand’s main function is to reflect that! To really understand what you are trying to relay, try writing down 3 words that describe what you want your wedding to be. For example: sleek, edgy, and modern. Then think about how those descriptors can be turned into actual details, or objects at your wedding (wedding hashtag, signature drink, place cards….the list goes on and on). It might be helpful to think about this in terms of where you want those words to be displayed – the bar, tables, etc. As a source of inspiration, it might be helpful to create a simple design that you can reference when brainstorming your brand. For instance, create a monogram you would ideally want displayed in your wedding. When doing this, try not to think too hard about your pre-planned theme, but rather just pick a font that you like, and details you gravitate to first. You don’t even have to use this for your actual monogram! However, when you’re done, really take a look at it. Is your monogram more romantic, with intricate cursive letters, and an elegant finish? Maybe then consider giving tiny bottles of prosecco as your favors, or incorporate a champagne bar! Ultimately, your design can serve as the inspiration for the branding of the small details of your wedding.